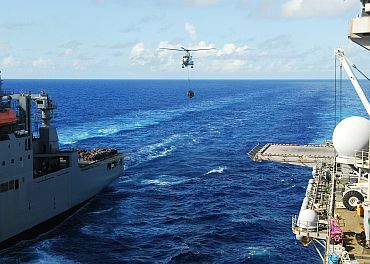 Indian forces and the United States navy recently conducted their annual amphibious training exercise -- Habu Nag -- in the East China Sea, which is designed to enhance their bilateral interoperability, including humanitarian assistance and disaster response. 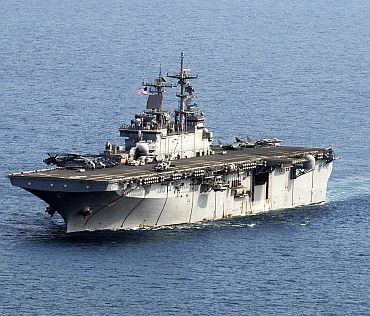 Forward-deployed amphibious assault ship USS Essex (LHD 2) is participating in this exercise, while several officers of the Indian armed forces embarked on to observe Navy and Marine amphibious training and to participate in a tabletop exercise. The exercise that started on September 29 concluded on Monday. "A key aspect is that the US has Marines embedded with Navy staff, doing jobs for the Navy that are Marine Corps oriented and vice versa," said Lt Col Evan Holt, a Marine liaison officer assigned to Commander, Task Force 76, who is working with the Indian officers. "We want to demonstrate how two different services with two different goals mesh their operations and personnel to complete those goals," Holt said. Cmdr Gagan Kaushal, of the Indian navy said the exercise gives them the chance to get a ground view of how everything is executed. "It also gives us the chance to get a ground view of how everything is executed," he said. 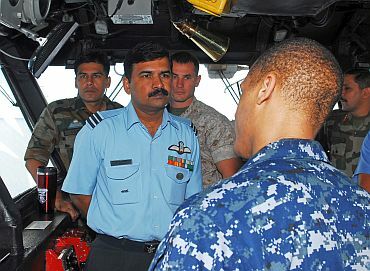 Noting that it has been a wonderful experience being on a US ship, Col Manoj Tiwari, of the Indian army said: "We have learned a lot about the US Marine Corps and how they function and work with the naval element." 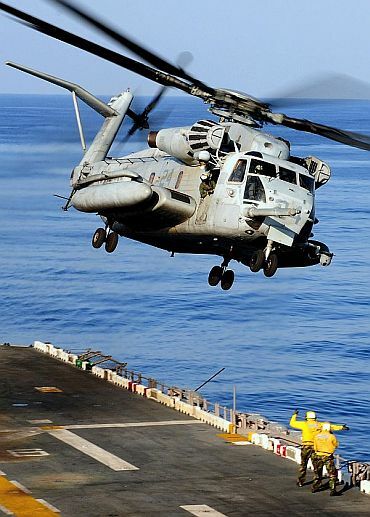 "We have the experience on land; what we hope to learn is how the Marines perform landings and facilitate more fluid interaction between our own naval and amphibious elements." The Indian military has no marine corps. 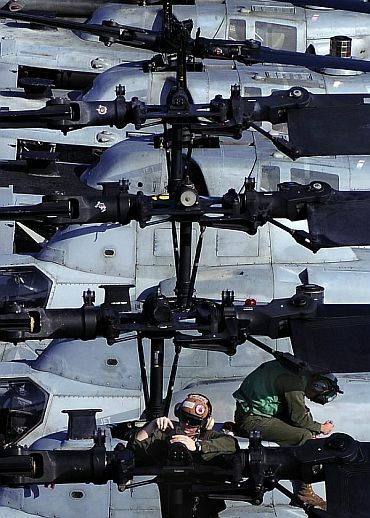 Instead they deploy a specially trained amphibious army division to perform beach landings. Officers of that unit worked alongside US Marine representatives to share knowledge and prepare for future scenarios and amphibious operations. 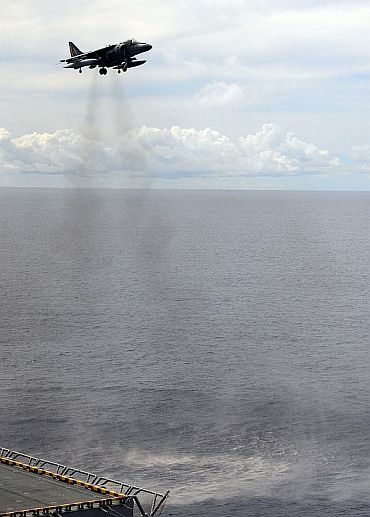 For the Indian Navy, the exercise allows them to see first hand amphibious operations at sea. "This operation gives us a birds-eye view of how amphibious operations are organised," Cmdr Gagan Kaushal, of the Indian Navy said. "It also gives us the chance to get a ground view of how everything is executed." 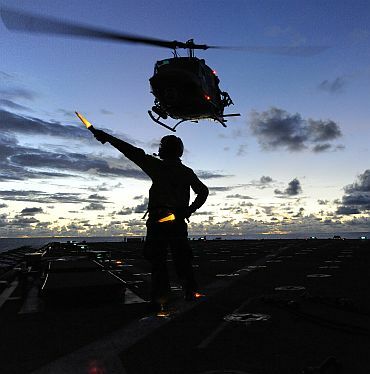 Habu Nag is just one bilateral exercise conducted between the U.S. and India. 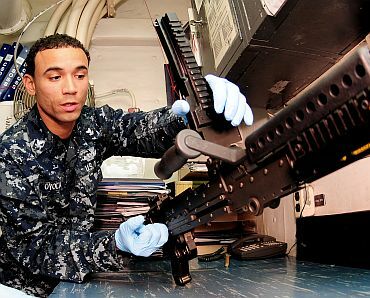 In addition, US Navy ships conduct numerous routine visits to India each year. 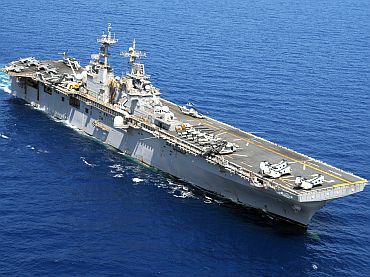 Essex, commanded by Capt Troy Hart, is part of the forward-deployed Essex Amphibious Ready Group and is on patrol in the Western Pacific. Last year, when the exercise took place at the US Marines base in Okinawa in Japan, India opted not to participate. While no reason was given for the last minute pull-out, regional sensitivities were thought to be behind the move. Okinawa is located close to China and has a significant US presence where several military bases are concentrated. The island has also been in the news for frequent spotting of Chinese naval vessels, including submarines by Japanese self-defence forces. More joint Indo-US military exercises are planned in the future, including one in Alaska next month and a Special Forces' exercise in India. 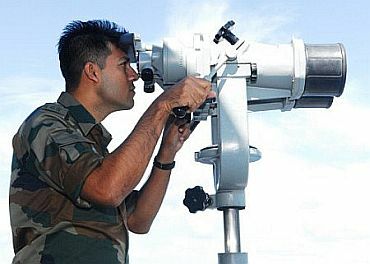 The participation of the Indian Army and Navy boosts the credibility of its forces, as this unique operation involves enhanced capability not commonly found in other marine forces of the world. Both the participants create contingency plans based on different scenarios and conditions the forces may find in a real-world relief effort.